Mosaic art is the creation of an image by assembling many small pieces of colored glass or stone. 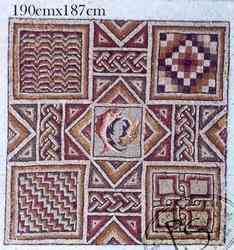 Mosaics covered the floors of Hellenistic villas and Roman homes from Britain to Dura-Europos. Brilliant mosaic floors were found across North Africa and are seen in an extensive collection in Bardo Museum in Tunis. Christians began using mosaics in basilicas in the late 4th century. 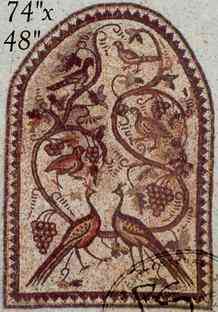 Mosaic art flourished in Byzantium from the 6th to the 15th century. 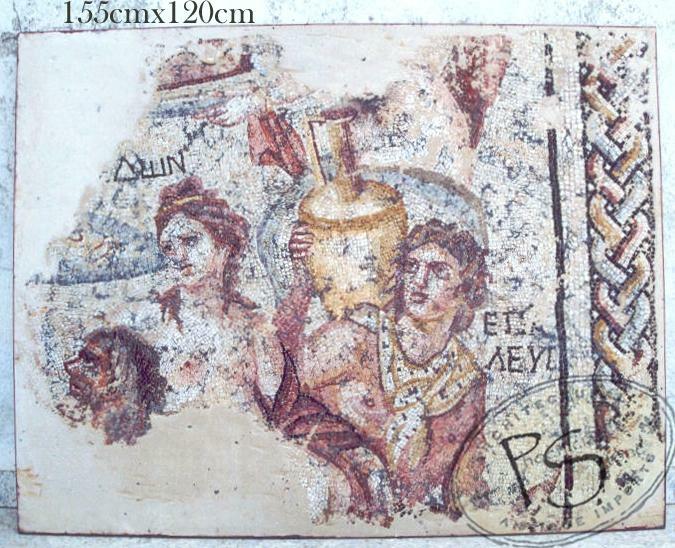 With most Byzantine mosaics destroyed in wars, surviving Byzantine mosaic art is a great find. 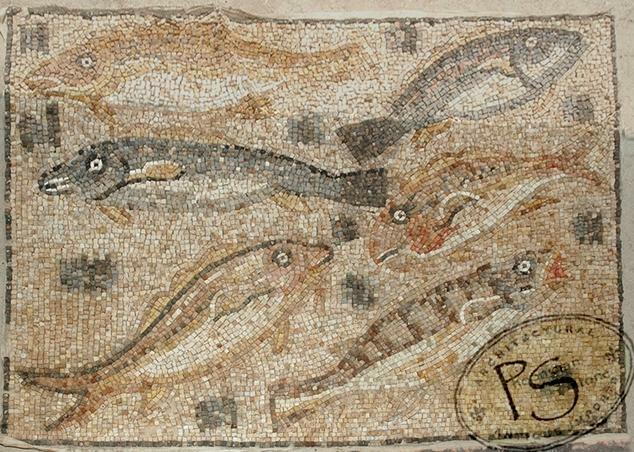 The earliest examples of mosaic art date back to the second half of 3rd millennium B.C. 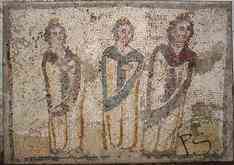 They were found in a temple in Ubaid, Mesopotamia (modern day Southern Iraq). 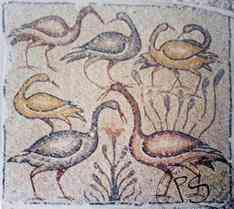 Theses early mosaics consisted of colored stones, shells, and ivory. The first use of glazed tiles date back to 1,500 B.C. 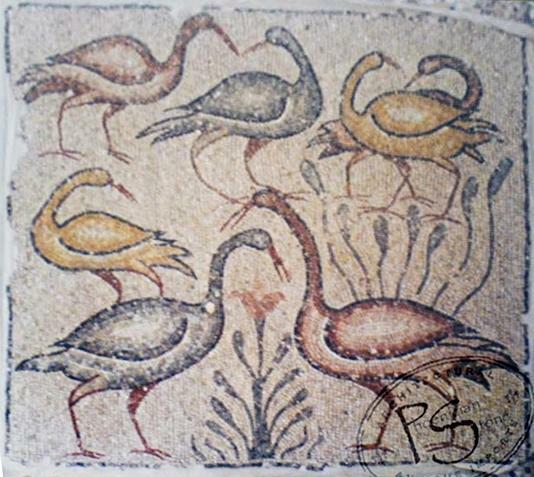 The mosaic patterns we are familiar with were used by the Romans, beginning in the 4th Century B.C. Emperor Nero used mosaics to cover the walls and ceilings in the Domus Aurea, built in 64 A.D. Beautiful mosaic art has been unearthed throughout the ancient Roman world including in Tunisia, Sicily, and Italy. 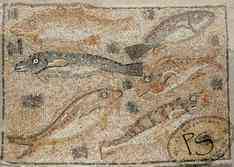 The largest collection of Roman mosaics in the world were found at the Villa Romana del Casale in Sicily. The mosaics were preserved for over 700 years by a landslide that occurred in the 12th century B.C. Some pieces include The Labours of Hercules, The Circus Scene, The Long Great Hunting Scene, The Little Hunt, and The Bikini Girls. 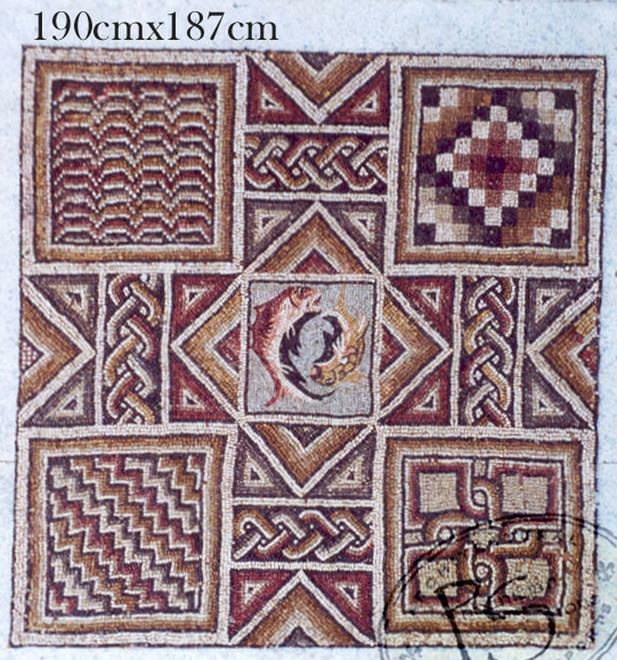 Christian mosaic art flourished in Rome, but gradually declined during the Middle Ages. 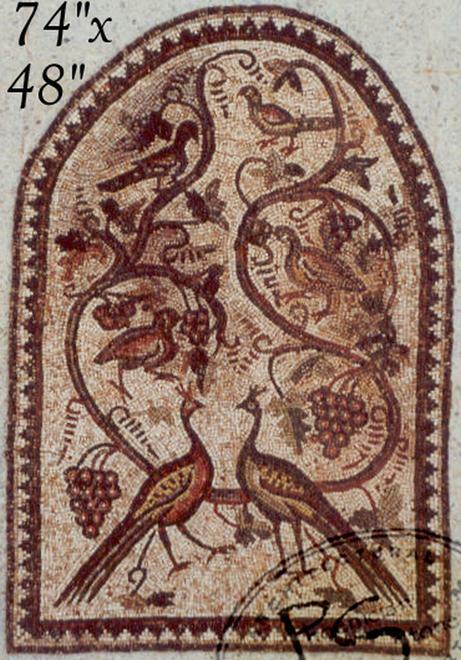 Mosaic art was later resurrected in Byzantium, only to disappear again following the sacking of Constantinople during the crusades. 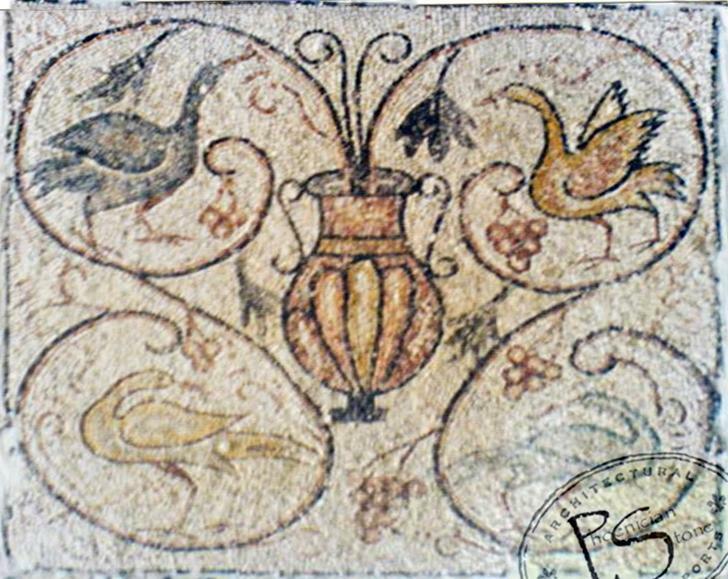 Mosaic art began to flourish once again during the rule of Pope Clement VIII around 1600. St. Peter's Basilica was decorated with mosaic tiles. 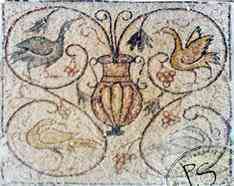 Mosaic art shined brightly as it reflected more light when placed in a cathedral with high walls and few windows. 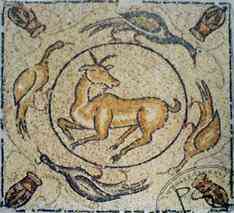 Mosaic art enjoyed a renewal which spanned many cultures, east and west, both secular and religious.